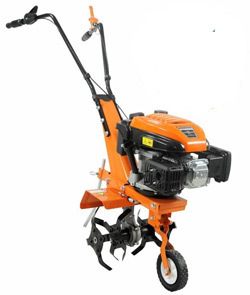 The Handy 3.5hp petrol tiller & garden cultivator, well made and great value. It is ideal for smaller areas of garden cultivation. Make Preparing your allotment all the easier this year with the Handy Classic Petrol Tiller. 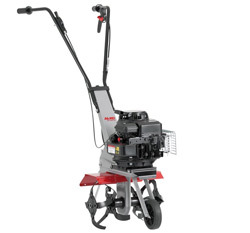 Lawn-King Zappa Z2 Rev Petrol Cultivator Tiller features: Ergonomic and sturdy 4-rotor cultivator with a 40 cm working width and transport wheel at rear. powered by BRIGGS & STRATTON this model also has a reverse gear ....more about this tiller.